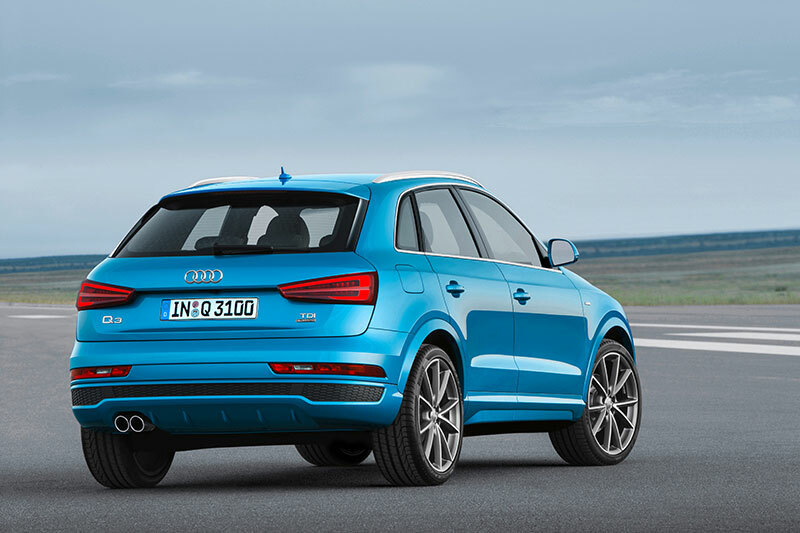 The new 2015 Audi Q3 will arrive in the U.S. in the Fall of 2014 and will join the already successful lineup of Audi SUVs that includes the Q5 and Q7. It will make its U.S. debut at the North American International Auto Show (NAIAS) in Detroit on January 13th. 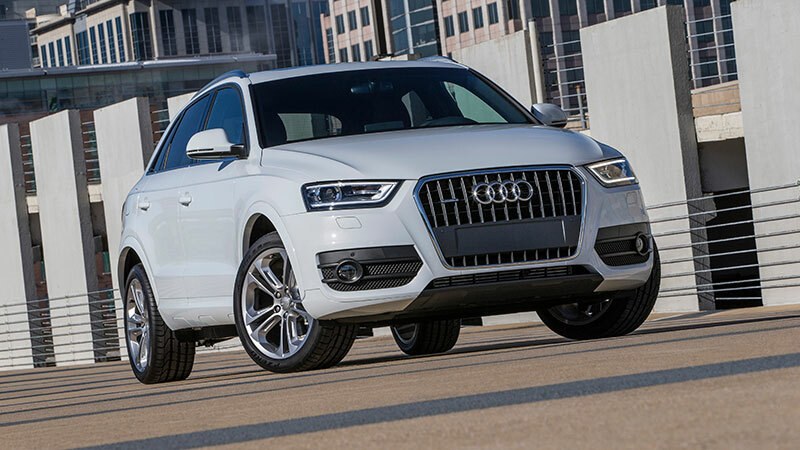 The Q3 is a premium, compact SUV that pairs coupe-like looks with the utility of a SUV. Its quality engineering and advanced features offer ideal performance and functionality, but also advanced technology and driving dynamics. Standard LED interior lighting – a technology that bathes the interior in dramatic light. The Q3 comes standard with two front airbags, thorax-pelvis side airbags in the backs of the front seats and side curtain head airbags. Safety belt tensioners up front, belt force limiters and the integral Audi head restraint system. Rear side airbags are optional. Optional Audi drive select system – allows drivers to adjust handling and response at the touch of a button. There are three drive select modes: Comfort, Dynamic, and Auto. The Q3 brings more sportiness to the compact premium SUV class. Its balanced chassis combines agile handling, supreme safety and great road comfort. The 2015 Audi Q3 features the award-winning infotainment system, Audi connect®, when the Prestige trim package is ordered. The on-board Audi MMI navigation plus system is enhanced with Google Earth™ maps for a true aerial view of the route. Audi also offers real-time Sirius XM® Traffic information via enhancements to the Audi MMI Navigation plus system (active Sirius XM® Traffic subscription required).